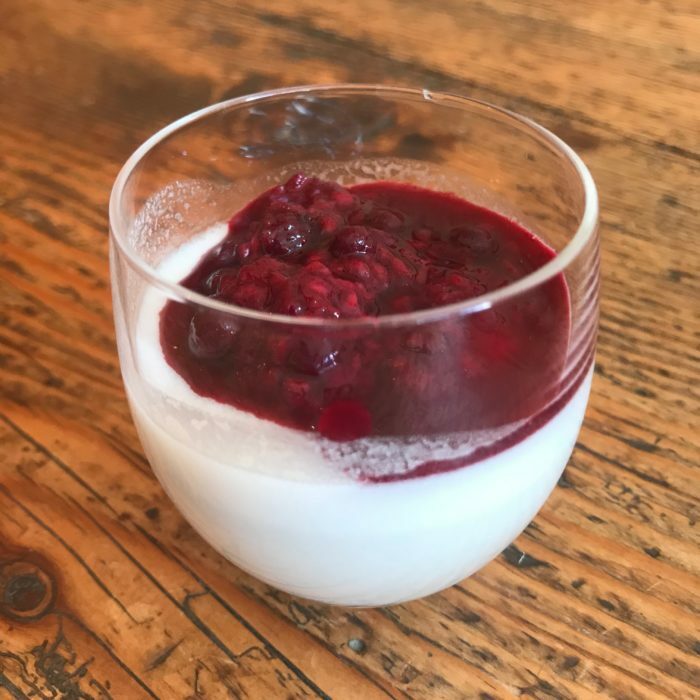 This is so delicious and a healthier version than traditional panna cotta. I put my twist on it, as I love to do. You can enjoy it as a dessert with fresh fruits and chocolate sprinkle or for breakfast with granola. Mix the gelatin with the water and let it sit for 5 min or so. Place the milk, honey, vanilla extract, almond milk in a saucepan and heat up gently until simmering. Remove from the heat and combine with the gelatin. Pour into ramekins an place in the fridge until completely set. Serve with blueberry compote, fresh berries or any toppings that you feel like.